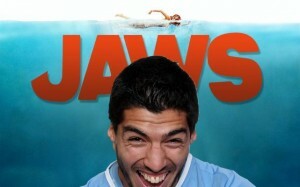 There can be little doubt that Luis Suárez is an excellent footballer. With a career tally of 40 international goals for Uruguay he is their all-time top scorer, and he has 220 more in club football. He has scored six hat-tricks for Liverpool, holding the Premier League record. In April 2014 he won the PFA players’ player of the year award. 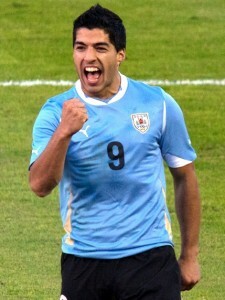 He spectacularly scored both Uruguay’s goals against England in the 2014 world cup, virtually eliminating them. So it is disappointing that his skills did not feature at all in Uruguay’s first match of the knockout stage, which they lost 2-0 and exited the competition. He was already suspended for biting Italy’s Giorgio Chiellini, the third time he has been punished for biting an opponent. All of which goes to demonstrate that character is more important than ability. You can’t score for your country while you’re in the sin bin. In the Bible, we don’t find the 11 disciples selecting candidates to replace Judas Iscariot on the basis of their leadership ability, organisational gifiting or mentoring skills. They looked for men who had been with Jesus (Acts 1:21). When Paul tells Timothy what the qualities necessary in church officials are, not one of them is a gifting. They are all character qualifications (1 Timothy 3:1-10). If Jesus had picked his disciples on merit, he probably would not have accepted any of the twelve, except perhaps Judas Iscariot, who appears to have had some potential. What a man builds with his gifting, he can destroy with his character. Amen! The modern church is obsessed with gifting, especially the apparently supernatural kind. Jesus said that it is by their FRUIT NOT THEIR GIFTING THEY SHALL BE KNOWN. In Revelation 22 the trees beside the river of life have leaves that are for the healing of the nations. It is the fruit that is supernatural because it bears fruit 12 months a year. So who is the fruit for? It is for God. This is the most important thing, not the gifting of God which is without repentance.